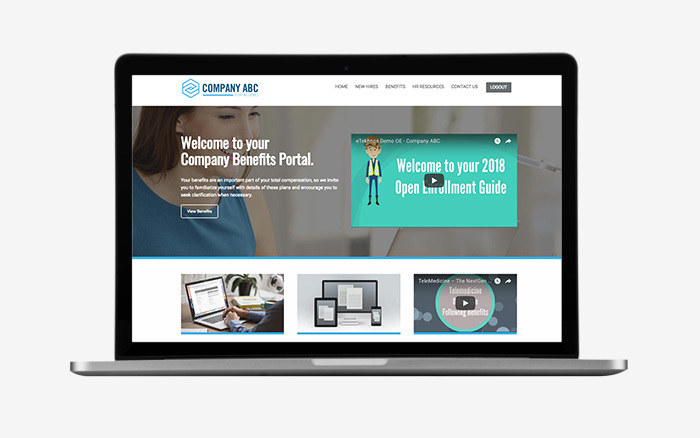 Every day since 1998 we have built and managed client benefit websites, custom portals, and online enrollment solutions. We partner with firms to handle the implementation and ongoing support to deliver the best technology to attract and retain employer groups. Imagine: All of your client benefit sites built quickly, updates completed accurately, and a full team to support your agency and clients. The cost to hire, train, and implement a new or existing employee to build and manage your technology is expensive and difficult to get right. Instead, we offer a turnkey benefit portal solution – we do all the work so you don’t have to. BenefitsEASY will provide monthly animated explainer videos that direct employees on health and wellness topics. These will save families, and often employers, time and money. • Monthly updated education content added to the site and sent to you to share. • Open Enrollment Communications kit includes video, email, and print material. • The BenefitsEasy solution begins with a one-on-one communication discovery opportunity. Communicate with and educate employees like never before. Let us show you how!